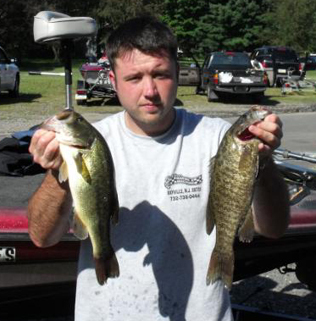 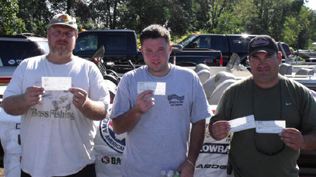 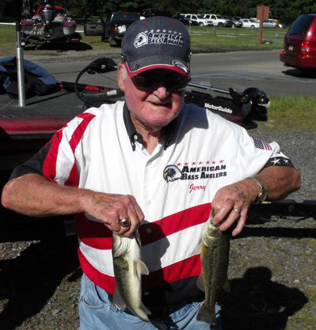 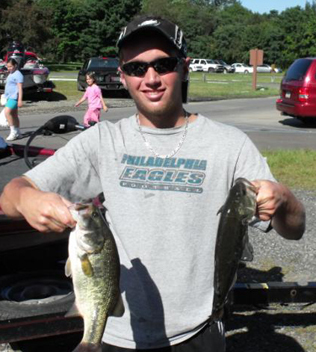 From Division 9 in Eastern Pennsylvania September 13, 2009, Matt Padden from Glenolden, PA., is one step closer to the ABA National Championship with a 1st Place win and $453.00 in the American Fishing Tour bass tournament held on the Delaware River this past weekend. 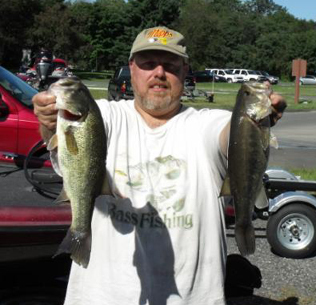 Matt had a 4 bass limit that weighed in at 8.40 pounds. 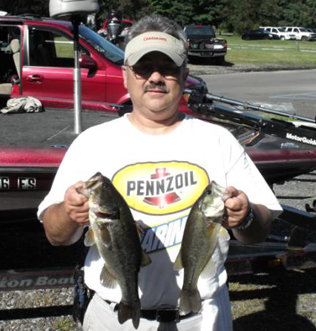 Second place went to Chris Ring with a weight of 7.58 pounds; third place was Steve Horvath with a weight of 7.37 pounds. 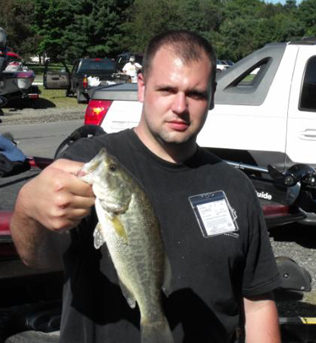 Big bass was awarded to Matt Padden for catching a 3.68 pound small mouth. 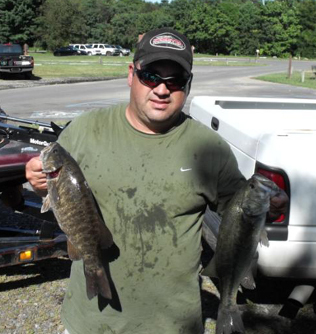 Heavy rain on Friday made the river a little high and muddy but it was still fishable. 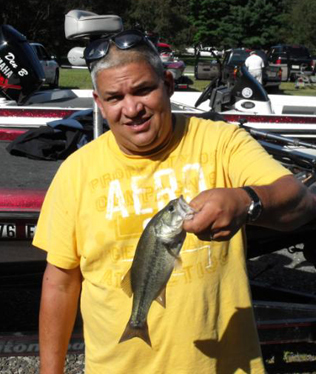 We had overcast skies in the morning changing to bright sunshine in the afternoon. 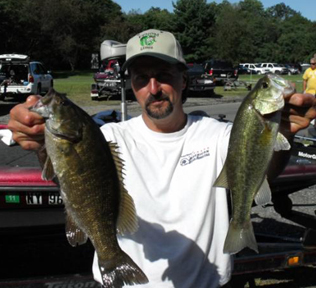 Water temps have dropped down into the upper 60�s. 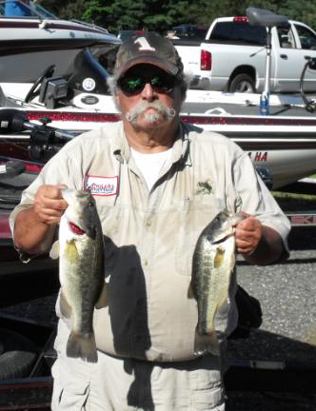 High tide was at 10:30 am. 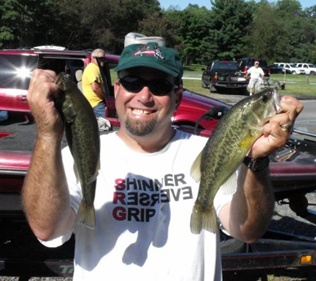 Matt caught his fish on two patterns: throwing crank baits on main river riprap was how he caught his small mouth bass and spinner baits in the spatterdock produced the largemouth bass.